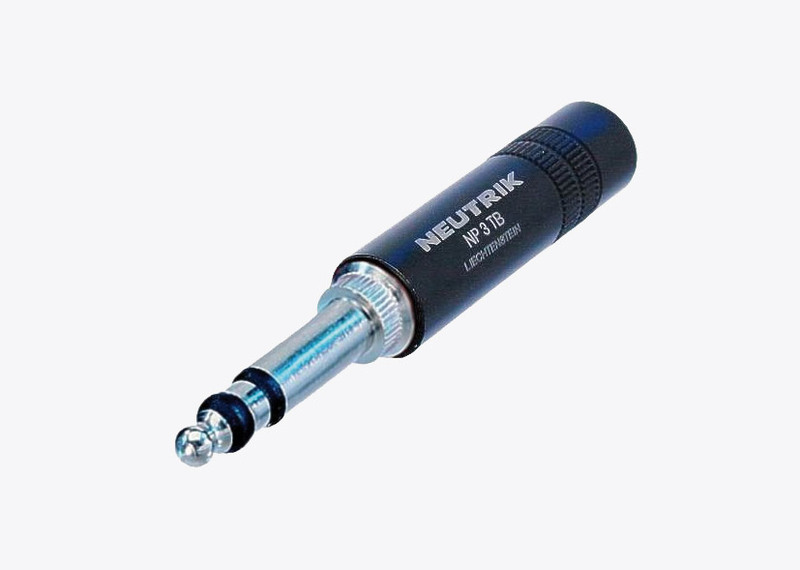 Similar construction to standard Neutrik stereo jack plugs, but with BPO type B-gauge tip and slimline metal shell. Accept cable from 3.5 to 6.8mm diameter. Available with black, red or blue shells.